Webbox Rainbow Pellets are a daily diet for Koi and other pond fish. They contain the required nutrition to support healthy growth and are produced using a technique that does not cloud or stain pond water. The floating pellets allow for easy monitoring so as to avoid overfeeding. Pellet size is approximately 6 - 8mm. Cereals, derivatives of vegetable origin, meat and animal derivatives, fish and fish derivatives, minerals, algae, oils and fats. 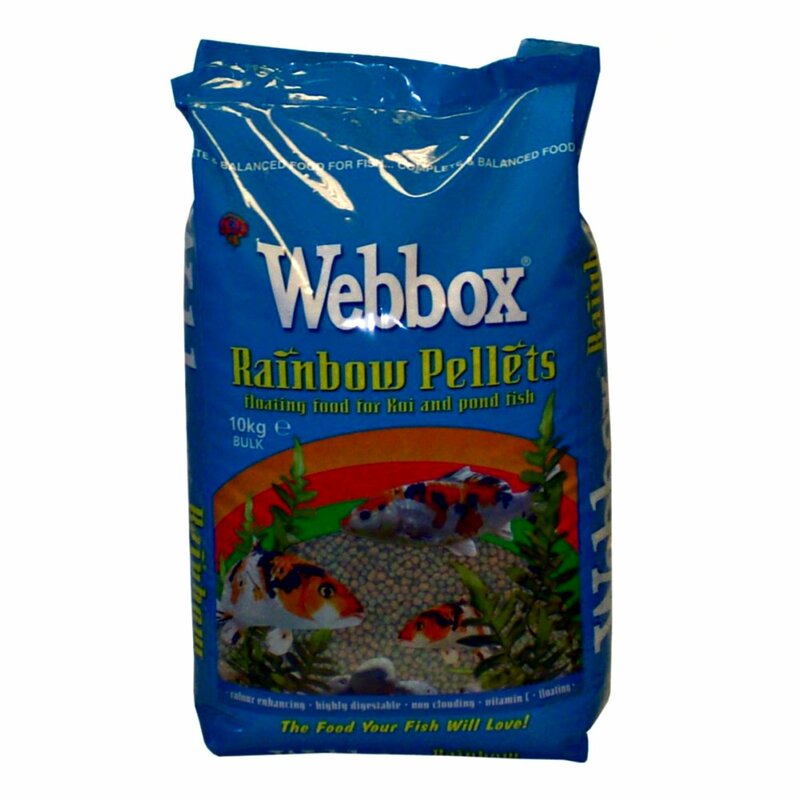 There are currently no questions for Webbox Rainbow Pellets Floating Pond Fish Food - be the first to ask one!